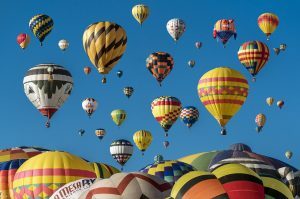 A Colorado Springs tradition over Labor Day weekend used to be called the Balloon Classic, but was “bought” by another group and is now the Labor Day Lift Off. In either case, this awesome festival takes place in Memorial Park near downtown Colorado Springs. Walk amongst launching balloons, enjoy booths, jumpers for kids, morning lift-offs, evening glows, mascots for local athletics and lots of entertainment. For more details, check out their website, Labor Day Lift off.